My friends Annabel and Helen, recently blogged about stocking your pantry well, and how keeping just a few comfort foods can sustain you when times are tough. I couldn't agree more. I like to take that one step further though, and keep one or two things that cost little, but that I consider essential for living luxuriously for less. 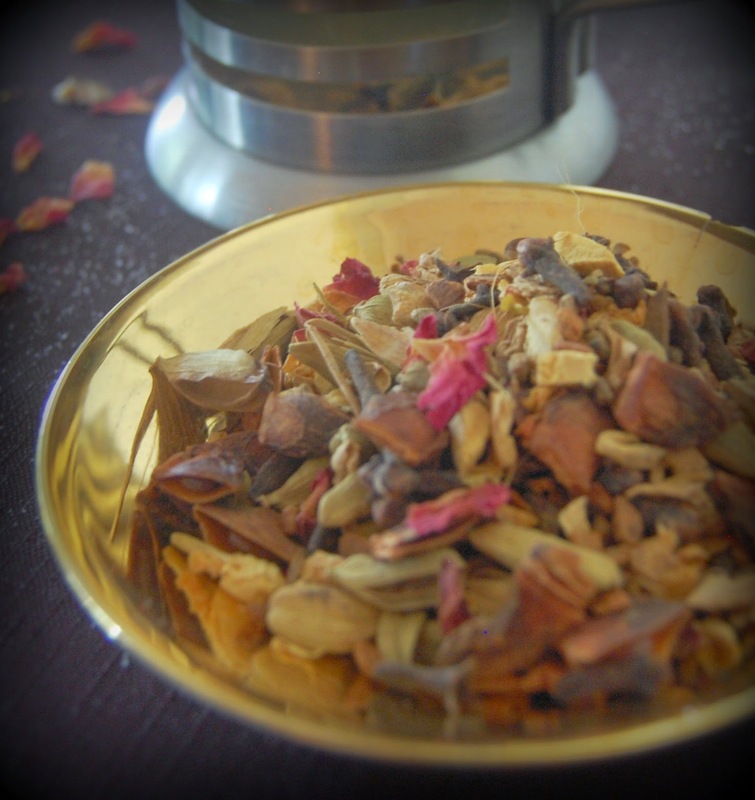 Pictured above is the T2 Spi Chai tea...the ingredients include cardamom pods, cinnamon quills, jasmine and rose petals...what's not to like? I brew mine in a Swedish press, and enjoy it in a fine china cup, with just the teeniest drizzle of honey. I adore the earthy flavours and enticing scent, and it just makes me feel special. Buy it, or your own preferred blend, here. Fresh birds eye chilli, from my sons bush, grown in his tiny courtyard. 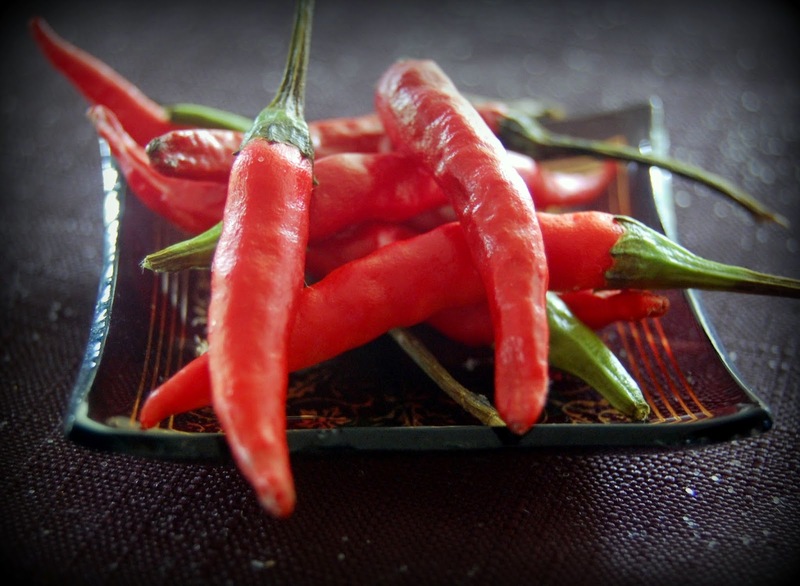 A few thin slivers of one of these elevates your Thai Chicken Salad or Pasta aglio olio to a new authenticity. Anyone can grow a chilli bush in a pot. Just keep them out of reach of children. My brothers were tempted by the pretty red, to eat several when they were young. Whilst it didn't kill them, they certainly weren't tempted again! 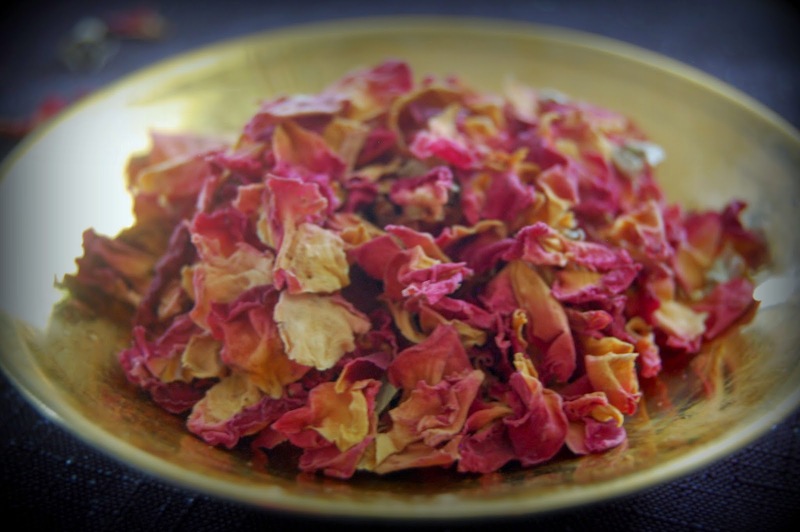 Edible rose petals. Available in specialty tea stores, or here. Just 50gms of these has given me gorgeous edible sprinkles for cakes, cookies, tea and desserts for nearly two years. Very special. I find that having my luxury foods in my pantry or garden, makes me feel rich, and prevents me looking elsewhere for my rich fix. yes I agree Mimi! My life feels so rich with little indulgences added to it no matter how little money I have. Great tip. Certain herbs and spices, along with slivers of good quality chocolate do it for us. For me it is things like Udon noodles and Miso, and sushi making supplies because those speak comfort to me and transport me back to my childhood. I also try to keep some mushrooms sauteed in butter, lemon and garlic in the freezer to add to dishes and frozen shrimp which speaks of luxury to me. The Five Star Frugal linkup is on! The Five Star Frugal Link Up is on! The Five Star Frugal Link-up Premiere!